A MINIMUM OF TWO HOURS IS REQUIRED. 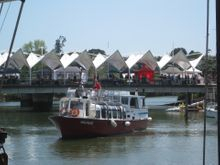 The boat is fully licensed so beer, wine and non alcoholic drinks are available for purchase at $7.00 a drink. Our licence does not allow for BYO.